I love our tropical gardens. Teaming with life. 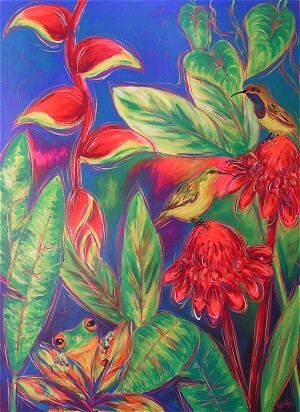 Sunbirds, Frogs and the list goes on. If you like this painting and would like one similar (a commission), or have questions about price, method of payment, packing and shipping, please email Sal.